The annual Women in Biometrics Awards is now open, and the time is now to nominate your colleagues, clients or even yourself for this great program. 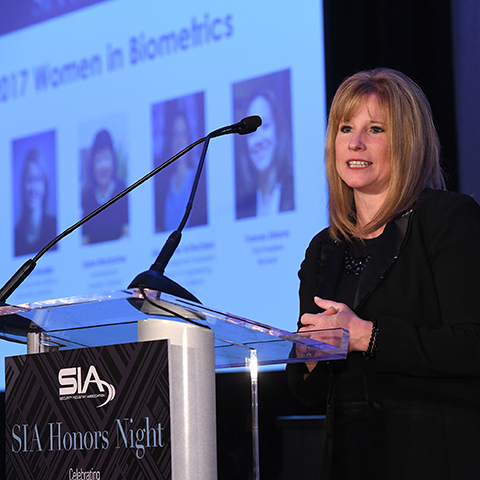 Nominations will be accepted at WomenInBiometrics.com through Sept. 28 for this fourth annual installment of the awards program co-founded by the Security Industry Association (SIA) and SecureIDNews. This year’s winners will be honored on Nov. 14 in Manhattan during the SIA Honors Night celebration. “Past winners are literally the who’s who of the biometrics industry,” says program founder and SecureIDNews Publisher Chris Corum. They include biometric company executives, industry lobbyists, standards creators, association leaders and security practitioners from a variety of organizations spanning industry, government and nonprofit sectors. Industry involvement in sharing expertise and mentoring peers, growing the market. This year the awards are sponsored by IDEMIA, FindBiometrics, and the SIA Women in Security Forum – organizations that proudly and actively recognize the contributions of women in security and biometrics. “From face scanning at the airport to iris authentication on your smartphone, biometrics technology is an increasingly prominent part of everyday life. And yet half the population – women – are still underrepresented in the industry. This imbalance has real consequences, with an MIT Media Lab study having shown prominent facial recognition systems are more accurate for male subjects than for women, to take one example,” said Peter O’Neill, president of FindBiometrics. Along with the awards ceremony, SIA Honors Night – held each year concurrent with ISC East, New York City’s biggest security products trade show – features a gala dinner reception benefiting Mission 500, engaging entertainment, and a series of high profile industry awards. Learn more on the Honors Night page. Nominations for this award are being accepted through Friday, Sept. 28. Learn more and submit your nominations at WomenInBiometrics.com.